Striking paramedics left a picket line in Dudley to save the life of a man who was having a diabetic fit, it has emerged. 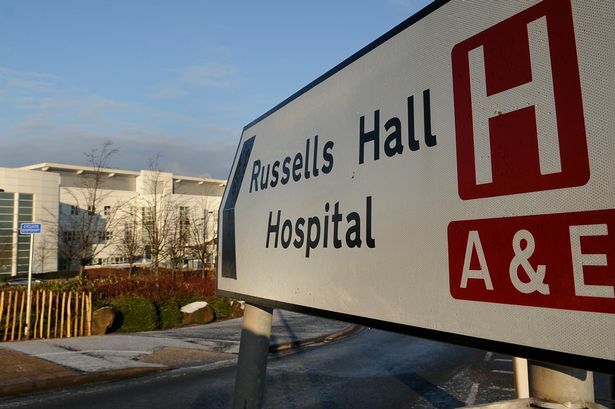 The ambulance workers, protesting over pay along with thousands of other NHS workers, rushed to the victim’s aid during the four-hour walk out and took the casualty to Russells Hall Hospital. Their move to break the picket line was part of an agreement with West Midlands Ambulance Service to attend certain emergency calls. Murray MacGregor, spokesman for West Midlands Ambulance service, praised their actions. During the four hour strike there were 587 calls taken by the organisation - up 19 per cent on the previous Monday. “There were a wide variety of things people were calling about and that included non-life-threatening incidents. However, we have no way of stopping people from ringing 999. “We had hoped people would call 111 instead,’’ he said. During the strike, the organisation revealed how they had been overrun with calls during a series of Tweets. It said: “We are now stacking over 40 calls with no-one to send to them. “Absolutely vital that people only dial 999 if absolutely essential. Paramedics, nurses and midwives manned picket lines stationed across Birmingham to protest at the Government’s refusal to grant them a one per cent pay rise. Picket lines were also manned at City, Heartlands, Queen Elizabeth, Birmingham Women’s and Birmingham Children’s hospitals. The strike is part of a month-long work to rule, starting at midnight.